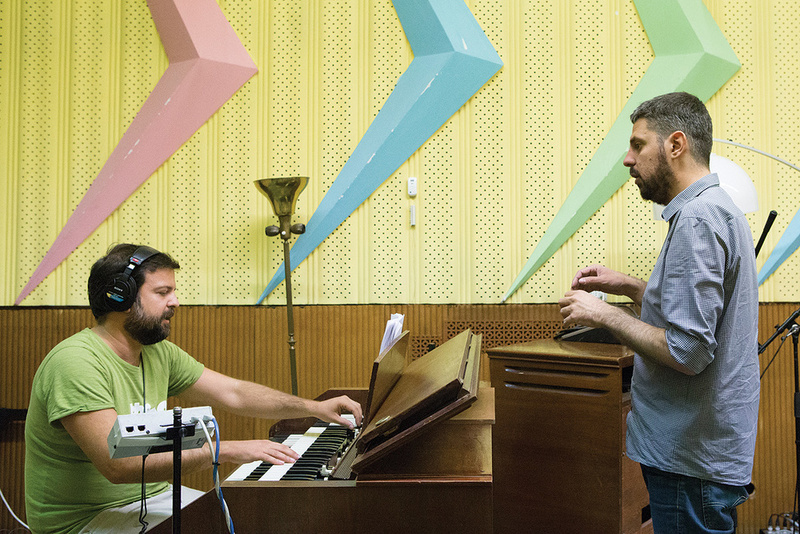 How much preparation is required before a recording session, and when should it all begin? We asked some top producers to share their wisdom. Having recently completed some quite lengthy (and thus rather draining) album-production projects, I decided I should actively consider ways to improve my approach to pre-production. By paying more attention to the initial stages of a recording project, which start before the artist gets anywhere near the studio, I hoped to make the sessions themselves more efficient, productive and, ultimately, satisfying for all concerned. And well as analysing my own approach, I decided to ask some top engineers and producers how they tackle pre-production. I wanted to find out how important they feel this stage of a project is, both from a technical and an artistic point of view, and to explore both the common ground and the pros and cons of different approaches. They were very generous with their time and their insights, and it quickly became clear that I could fill a whole magazine on this subject, but I’ve distilled their responses down to focus on five or six distinct facets of the planning process. You can read more about the producers I talked to and reference throughout this article in the ‘Meet The Producers’ box. The author, Neil Rogers, taking notes on a session in his Half-Ton Studios in Cambridge.I’ll let the other producers do most of the talking in their own words, but it’s worth first describing my approach to pre-production to date. Typically, I work with a fairly traditional band setup or with singer-songwriters and, often, I don’t have the luxury of a huge amount of time to spend on preparatory work. It all rather depends on the client, the budget, and whether I’ve been engaged to work as a straight-up engineer, or something more all-encompassing. For a simple engineering job, my typical ‘pre-production process’ might constitute little more than a five-minute conversation with the band or artist, during which I’ll decide on a basic starting point: what equipment to use, where to put what, and if/how we should use a click. For a fuller production role, I’ll hopefully receive some demos, and might try to see the band live or in rehearsal. We’ll discuss some aspects of the arrangement(s) and experiment with different tempos for particular songs. I’ll also try to understand the artist’s musical inspirations, and ensure we’re broadly on the same page. And I’ll give thought to some technical elements of the recording process — not only mic selection, but more generally how I might approach the initial recording sessions. Things evolve when we start recording and, for the most part, I’m happy to go with the flow until problems present themselves, or I feel the need to intervene. In other words, I’ve always taken quite a relaxed approach to the planning stage of a project. So, despite differences in personal style and what they call this stage of a project, all my interviewees agreed on certain fundamentals that should be in place before a recording session: familiarity with the song, its key and tempo, and some arrangement decisions. Despite some obvious differences, I still got a strong sense from all the other producers of how useful it can be to have some informal time at the beginning of a project, so both the producer and artist can feel their way into things. Is there a minimum quality of demo they’ll work with? Can, say, a mic in a rehearsal room still be useful in any way? Dave Eringa didn’t seem too fussy. “In an ideal world I’d like something half-decent, but as long as I can hear the vocal and get a sense of the arrangement then I can get something out of it,” he said. Can A Demo Be Too Good? ‘Demo-itis’ — where a band, artist, A&R or label can grow particularly attached to certain elements of a demo — has the potential to cause problems for producers. After all, the producer is supposed to be an objective listener who can make sense of the demo and deliver something better. I was keen to get a feel for the producers’ thoughts on this. Of course, it’s become increasingly easy to make much more sophisticated DIY productions in recent years, and I know from my own work that it can now be unusual not to have at least one member of a band who’s into the production side of things. I invited my interviewees to consider how this might affect their session preparations, and was greeted with some interesting thoughts. 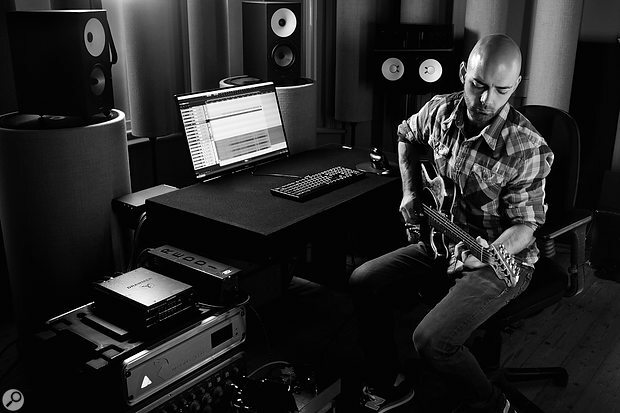 Producer/engineer Jack Ruston, who can also call on his talents as a guitarist. How much preparation is too much? And how much should the planning process focus on creating an environment to allow spontaneity and ‘the magic’ to happen in the studio? All the producers I spoke with stressed the importance of not making overly rigid plans. Steve Osborne went a little further — while he might make plans, he said he’s “never afraid to completely start again with how we approach a song, or even the whole project”. He then shared an example of a situation in which he felt that working in a large, intimidating studio stopping a band from being themselves. After a few days, he made the call to start again from scratch, this time using large drapes to help reconfigure the space and completely alter the atmosphere of the studio setting. It was clear throughout my interviews that so much of what we discussed relies on a good understanding of the human side of record-making. Indeed, I’m sure none of the producers would mind me claiming that this is a hugely significant reason why they’ve been successful in what they do. Useful as it is to know how to position a mic or create a killer synth patch, there’s much more to producing records! The lines between different roles can easily blur when you’re working with artists on unfinished tracks in advance of the recording session. So I asked the producers how willing they are to get involved with the songwriting and arrangement process. The producer’s role is clearly a varied one these days, and as well as often getting quite heavily involved with songwriting and arrangement, some of the producers told me they end up playing on most of the records they work on. Getting into possible arrangements with songwriting splits, performing rights and publishing is a topic for another article, but considered purely in terms of efficient and effective pre-production, it’s almost certainly best to get all these issues agreed before a project starts. I was curious to know how much formal project planning people do, in terms of written or electronic documentation, and there was some variety in how far those I spoke to went with this. Steve Osborne, Sean Genockey and Dave Eringa were happy to admit they did little formal preparation aside from starting each project with a fresh A4 notepad that they’d use to keep notes throughout. Each of them, though, would endeavour to have done some work to prepare suitable DAW sessions before recording. Muse producer Tommaso Colliva likes to use very detailed planning documentation before beginning a recording session. Thorough planning, though, needn’t put a creative straight-jacket on proceedings. In fact, it can create a space for sonic experimentation. I’m currently reading Sylvia Massy’s excellent book Recording Unhinged, and it’s worth touching on what she has to say about this. Sylvia is well known for pushing boundaries not only in terms of creating unusual sonics, but also in what she is prepared to do in order to get a ‘performance’ out of an artist. Describing how she prepared to record the Smashing Pumpkins, she explains that she went to the effort of getting another band with a similar line-up to come into the studio the day before, specifically so that she could nail down the technical side of the setup! When I started planing this article — doing my pre-production, if you like — I was a little uncertain whether the producers I’d arranged to talk with would find the topic interesting or important enough to discuss at any length, but they all placed great importance on prepping a session properly. Indeed, they were all very animated and passionate in describing both why pre-production is important and how they approach it. So what can we learn from all this? Well, personally, it’s made me want to see how things pan out if I approach projects differently. For a couple of projects in the near future, I’m already trying out some of the ideas discussed in this article. One project is an album, for which my client has already made demos at home, and I’m allowing a much longer period than I normally would for us to work together, listening and dissecting his recordings at the outset. For a different project, I’ve arranged to do a basic multitrack recording of a band in rehearsal, both to get a better feel for their songs and to provide us with decent demos to work from. When these projects are complete, I’ll make a point of considering if and how these approaches influenced the results. One other thing these interviews reminded me of is just what a varied skill set it takes to be a top music producer today. It’s always been a skilled role, but back in the day you might have had a producer, engineers, a tape-op, a programmer and tea boys all working together on a record in a large studio. Now, it’s common for one person to perform almost all of these roles, even when working at a professional level. And on top of the technical and organisational side of things, you still need to conjure up the energy and commitment to keep a project on track. You might also have your own studio to run, play multiple instruments on an album and, at various points, perform the role of life coach to the people you’re working with! The extent of a producer’s job description is a vast topic for another day, but the simple fact of there being such a lot for one person to do means that now, more than ever, it makes sense to inject some structure into your session planning. What you do is about what works best for your personality and preferred working style, and for the people you work with. Whether you thrive in a semi-chaotic, creative environment that’s constantly changing, or you prefer a sense of order and organisation, it’s all valid as long as it works for you and for the artist, and, most importantly, serves the music you’re working on. But even if you prefer the former, it’s worth thinking how you can set things up to allow that freedom and chaos to deliver those moments of magic! Hannes Bieger is a musician, engineer and producer who works from his own studio in Berlin, Germany. Hannes has released his own projects, from deep house to broken beats, on several labels, and has also worked as a mastering engineer at Calyx Mastering for the last few years. He has become deeply rooted in Berlin’s electronic scenes, and has become a go-to engineer for the crème of house and techno producers and DJs around the globe, but his catalogue also includes numerous jazz and rock productions. 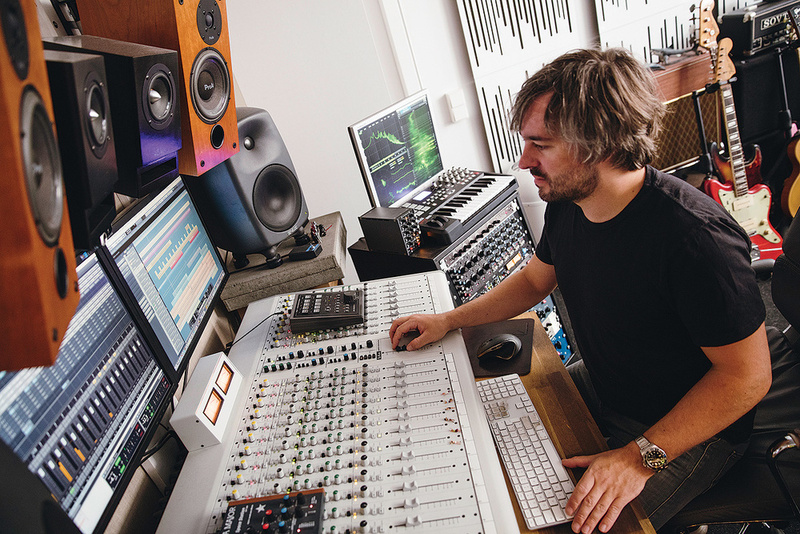 Tommaso Colliva is a Grammy-winning, Mercury-nominated producer, engineer, mixer and remix artist. 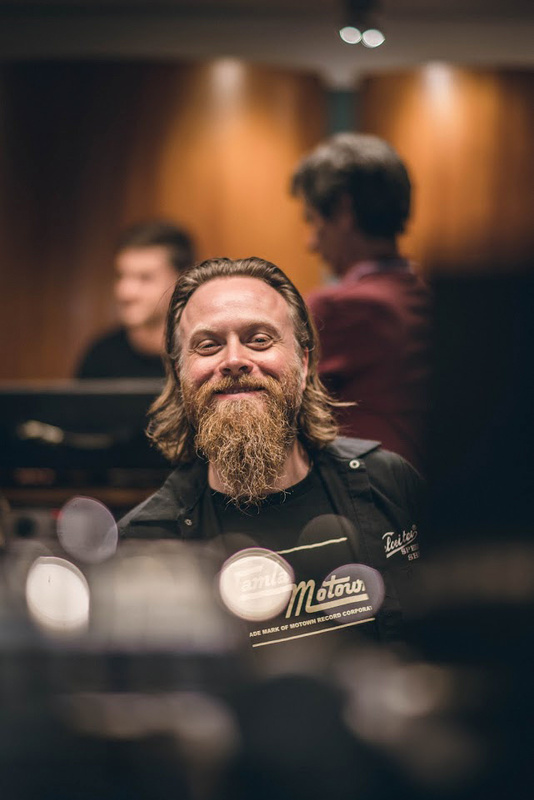 He has worked with the likes of Muse, Franz Ferdinand, Phoenix, Greg Dulli, Mark Lanegan, Mutt Lange, Arto Lindsay, Butch Vig, Rich Costey, Spike Stent, John Parish and Afterhours, amongst many others. Starting his career as an assistant at the world-famous Officine Meccaniche studio in Milan, Tommaso quickly worked his way up to chief engineer. In 2005, Tommaso met Muse during the sessions for their breakthrough record Black Holes & Revelations, when they recorded strings and overdubs at Officine Meccaniche. The pairing clicked, and Colliva has become a long-term collaborator and friend, his role progressing from engineer and additional production to mixing two tracks from Grammy-nominated album The 2nd Law and co-producing latest release Drones, which won the Grammy for Best Rock Album in 2016. 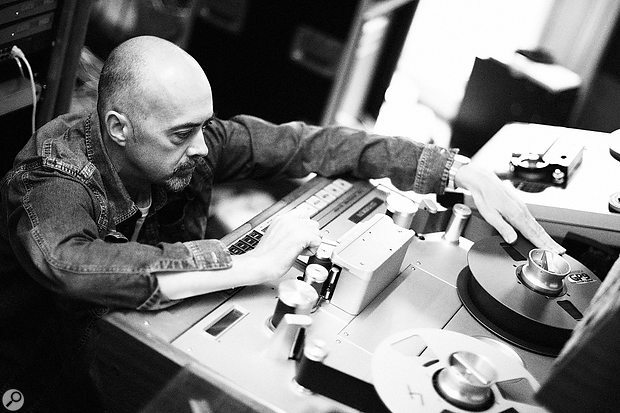 Dave Eringa has over 22 years’ experience as a music producer and mix engineer, and has worked with the likes of the Manic Street Preachers (10 albums), Wilko Johnson & Roger Daltrey, Idlewild, Ash, Kylie Minogue and Tom Jones, to name but a few. 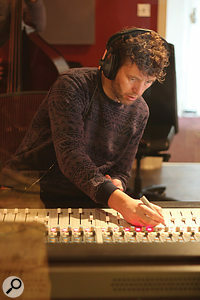 His career began at Powerplant studios working for legendary producer Robin Millar, and he went on to produce his first Top 10 album by the age of 21 (the Manics’ Gold Against The Soul). 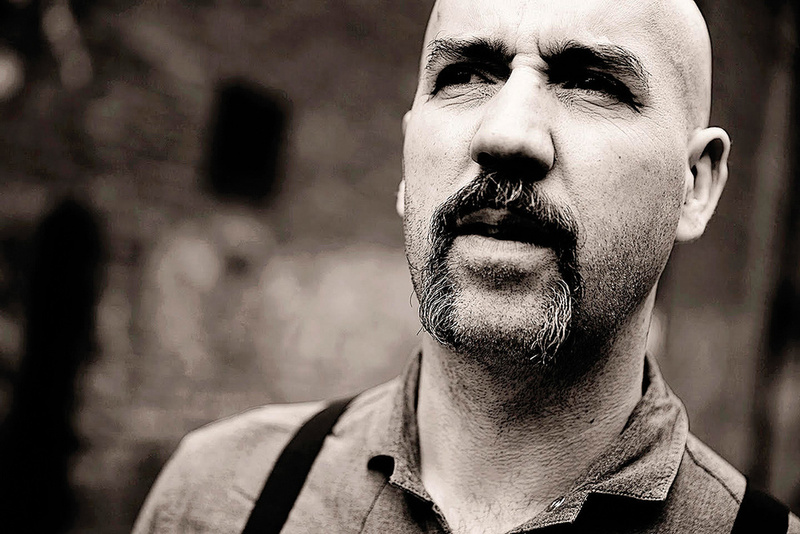 Sean Genockey began his varied career working around the record-making process as a guitar player. Having moved into the recording side of things, Sean has worked with producers Dave Eringa and Paul Stacey, and he has also produced and engineered work for Tim Palmer, Bob Clearmountain and Gil Norton, to name just a few. Sean owns and runs his own Black Dog Studios in South London, and his discography includes Reuben, Manic Street Preachers, Tom McRae, Iko, To The Bones, Baddies, Suede, Hermes, Kula Shaker and the Futureheads. Steve Osborne has maintained a prolific output throughout his vast, genre-spanning career of record-making. After starting in London’s Trident Studios, Steve soon joined forces with Paul Oakenfold, forming the Perfecto partnership. Together they became one of the most legendary remix teams of the exploding ’90s club scene, working with the likes of Massive Attack and U2. The duo went on to produce the legendary Happy Mondays Album Pills ‘n’ Thrills And Bellyaches. Returning to his more band-orientated roots, Steve went on to record and produce the likes of Elbow, Doves, Suede, KT Tunstall, Placebo and U2. Steve’s recent work has seen him perform radio mix duties for Gregory Porter and produce and mix both albums for the award-winning Cat’s Eyes. Jack Ruston is a producer, recording engineer and mixer. His career began in LA, playing guitar in Robert Vaughn’s award-winning band Dead River Angels. That experience provided the opportunity to record in some of the world’s finest studios and, preferring that to the life of a touring musician, he became obsessed with recording bands rather than playing in them. His background allows him to approach engineering from a musician’s perspective, and to bring his skills as a player to many of his projects. Jack’s clients include Judas Priest, Reuben, Walking On Cars, McBusted, James Morrison, Loa Loa, Foxes and Birdy. He also writes and produces original music as part of Man Kill Machine. Having a background as a drummer, but also because I think it’s an important part of production to get right, I’m always interested in other producers’ opinions on working with click tracks. Many producers I’ve spoken with about this over the last year have stated that they prefer to try to get a drummer or band to perform without any sort of metronomic guide where possible. Obviously the idea is to preserve some feel and energy, but this surprised me a little: it seems quite unusual to hear a commercial release these days in which the ‘live’ drums do not sound very tight and uniform, with most seeming to keep tempo changes to a minimum. Yet some tracks do demand drums that are very ‘on the grid’ and have a very consistent tempo, and in these cases some drummers — even some really good ones — can need a bit of help. 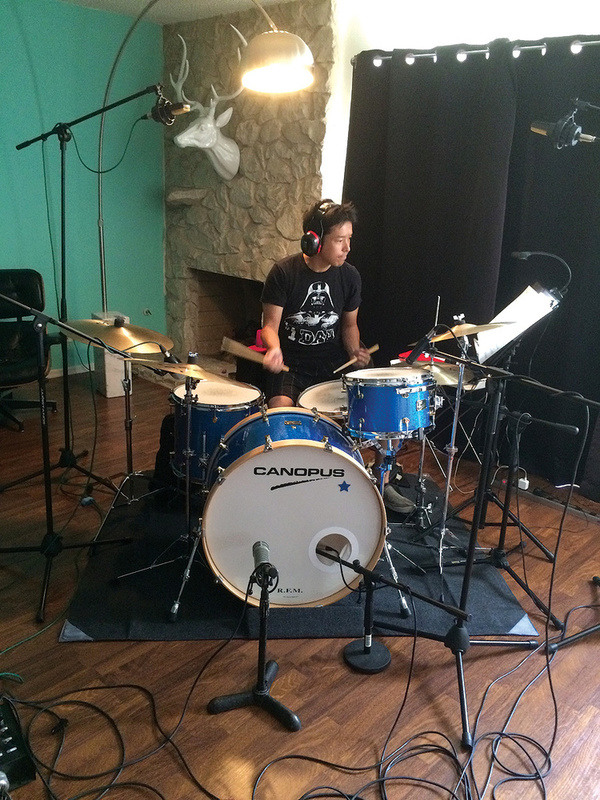 One issue to consider during pre-production is tempo, and — preferably in consultation with the drummer! — whether or not you’ll use a click track.There are two approaches that I’ve found work well for getting tight, yet still exciting, live drums in the studio. The first is where you have a great drummer with a natural ability to keep solid time. 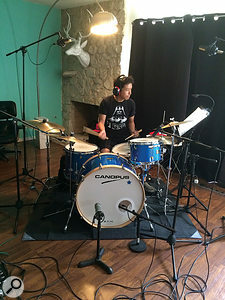 If you’re lucky enough to work with such a drummer, they’ll add just the right amount of tempo fluctuation throughout a song to make it feel alive and energetic. You might, perhaps, use a click for the first few bars of the song, just to ensure consistency across takes, but in terms of the rest of the arrangement, it’s very easy now to sync a DAW session to a variable-tempo audio recording. This is what I think most producers have had in mind when they talk about working without a click: they’re not simply turning a blind eye to some messy timing free-for-all with wild tempo fluctuations (unless that’s a creative aim! ), but drummers who can keep good time without a click. Alas, in terms of the technical prowess of the musicians, when you’re working on sessions that are, shall we say, a little lower down the food chain, such drummers aren’t the norm. It’s not only a question of their ability or talent, but also their lack of studio experience. The second approach is to use a drummer who can play to a click. If a drummer is comfortable working to a metronome, he or she can still play naturally, and you can even map out small tempo changes in a DAW session if need be. It might sound like a big ask, but I know from my own experience that drumming to a metronome is a skill which can be picked up surprisingly quickly — provided, of course, that the drummer doesn’t have a critical band and producer anxiously watching over them at the time! If you’ve done no preparation with a band and you quickly find out that your drummer is neither of the above — which, in my experience, is often the case — then you have a problem. You either just have to roll with it, and put up with more variation in tempo than you’d like, or you painstakingly coax the drummer along with a click, or perhaps make loops out of certain sections. And all of this brings us back to planning: whatever musicians you’ll be working with on a particular project, it’s important to give some thought to how you’ll approach this aspect of a session. You might, if the player is experienced enough, start by talking to them about what they’ve done in the past, or you might build in a bit of time to experiment to find the best approach for them. And if you know you’re definitely going to work with a click track, then consider providing your drummer with some means of practising with it beforehand — it could be an excellent investment of your time.